The latest weeks have seen a massive change in the situation in Hong Kong with a sharpening of positions on both sides of the democracy struggle. The idea raised by some representatives of the Federation of Students for student strikes after the August NPC meeting which is very likely to veto public nomination, is to be warmly welcomed. This, and the call even for workers’ strikes, as raised by Reverend Chu Yiu-ming of the OCLP campaign are extremely significant developments. However seriously or not these statements were meant, the fact that strikes are now on the table before the masses as a possible weapon in the struggle represents a big step forward and shows what kind of movement will be needed to win the democracy struggle. Beijing’s white paper, the 790,000-vote civil referendum, the massive 7.1 demo, police repression and mass arrest of 511 occupy-protesters show the struggle against the government has moved onto a new level. The fact the government’s report on the five-month public “consultation” on universal suffrage proposal in mid-July did not mention or attack public nomination shows that the government fears any backlash from mass anger can result in a huge mass movement. Unfortunately some of the leaders of the OCLP do not reflect these dramatic changes. 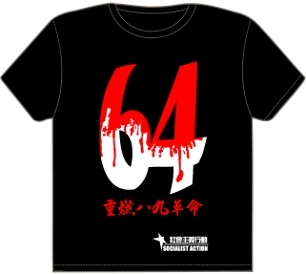 Benny Tai Yui-ting’s statement praising the police for their “self-restraint and professionalism” on July 2 (when a record 511 arrests were made at the trial-run occupation) shows he is completely out of touch with the real situation, when even ‘moderate’ pan democrats like Anson Chan Fang On-sang has criticised the police action. Tai’s statement should be withdrawn, as it risks playing completely into the hands of the fanatical pro-Beijing groups currently making a loud noise about alleged “violent protests”. 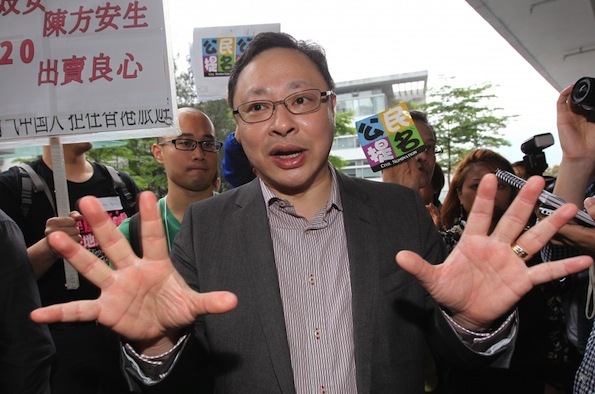 Professor Benny Tai Yui-ting, leader of Occupy Central with Love and Peace. How to build for strikes? Supporters of Socialist Action have consistently raised the idea of student and workers’ strikes within the wider democracy movement, including at the deliberation days of OCLP. Before the strike calls mentioned this week, our proposal had not gained widespread support. Some union leaders dismissed political strikes as ‘impractical’. Socialist Action has always been clear that we fully support an occupation of Central, and believe this should no longer be postponed. Constant delays and prevarication risk giving the advantage to the CCP dictatorship. 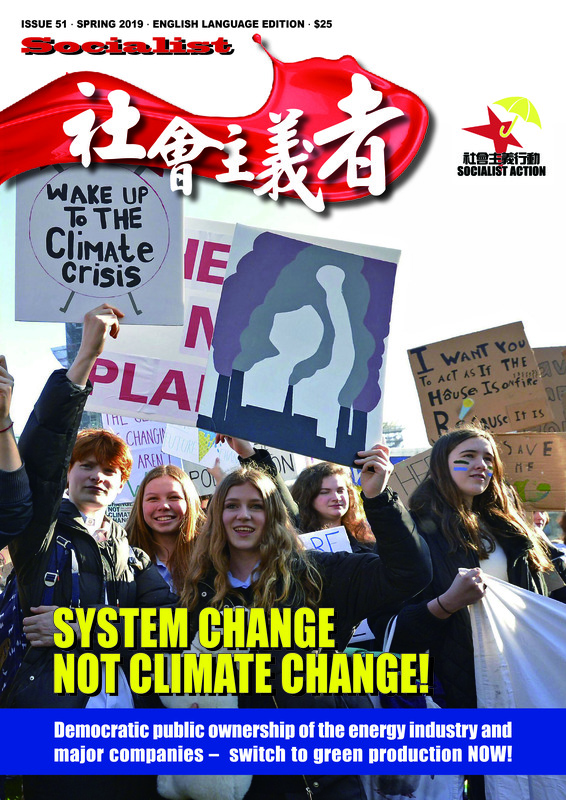 But we have also argued that strikes, which can begin among students and have the aim of inspiring wider strike action by working people in Hong Kong, are a more effective method of struggle than even occupation. An occupation alone will not be enough to defeat the CCP. Of course, merely making threats of strikes – some OCLP figures seem to naively regards this threat as just a bargaining trick – that is one thing. But what is needed is to begin preparing now, especially through the Federation of Students, to organise strikes through democratic channels. This should be done adopting mass methods – through democratic strike committees in every campus, organising mass meetings to explain the issues and win over the majority of students to participate actively. An active and collective approach is needed, rather than individual action and ‘boycotts’ or administrative decisions taken by school faculties that are not based on active involvement by ordinary students. This is the way to build a solid and fully representative strike movement. This is also an important lesson from Taiwan’s ‘sunflower’ protest movement in March, when more than 80 universities took strike action. The OCLP leaders and ‘moderate’ pan democrats are now under enormous pressure as anger rises in the wake of Beijing’s white paper and other hardline moves. This is the reason that some of them have adopted a more radical tone and perhaps that includes Reverend Chu Yiu-ming’s strike threat. The ‘moderate’ leaders sense the initiative of the movement is slipping out of their hands. Whereas in May the OCLP tops even made a threat to quit the leadership, which was a veiled threat to cancel the occupation, to try this today would run the risk that other forces would step forward and push for the mass occupation without them. So, not only the government/CCP, but also the pan democratic bourgeois opposition are riding a tiger in terms of the mood among broad sections of the mass. The Federation of Students and other groups that sincerely want to insure the struggle goes forward, cannot lose any time in preparing for student strikes when the new school term begins. For this to be successful the building of strike committees and real organisation on the campuses is the key. Socialist Action and its supporters will work energetically for this idea in the coming weeks. • Prepare for a city-wide school strike at the start of the September semester. • No more delays! Begin the occupation of Central to increase pressure on the government. • For strike committees and democratic organisation of the struggle from below. • No compromise, abolish the nomination committee – fight for public nomination and real democracy! 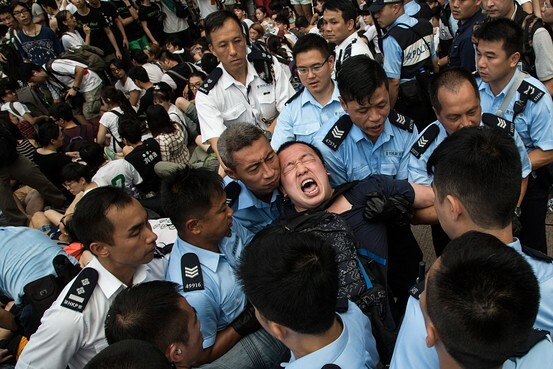 Early on July 2, police made 511 arrests at the trial-run Occupy Central.